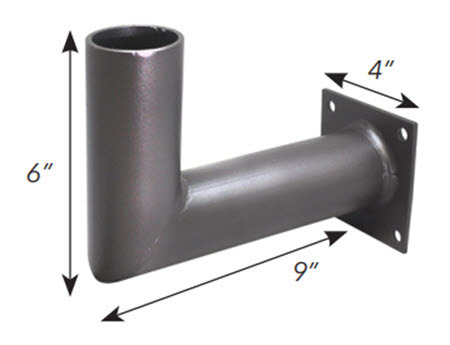 Wall mount bracket with 90 degree angle for use slip fitter mounting. It includes all stainless steel hardware and backplate for wiring access. It's made to last and creates a finished look for almost any wall lighting application.